I just love those beautiful afternoons over in Grizzly Peak where the golden sun is filtering through the trees and casting a wonderfully warm hue. Of course, all of this is artificially constructed, but the illusion of nature is pretty convincing, and that rustic atmosphere never gets old. It's one of the areas of Disney California Adventure where I really feel at peace, content with just taking in the ambiance. 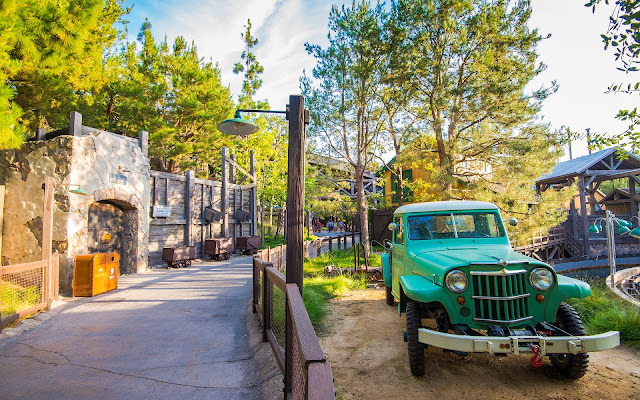 Golden hour at the backside of Grizzly River Run.